Carter County was named in honor of United States Senator, Thomas Henry Carter. The county was created by an act of the Montana State Legislature on February 22, 1917, and was opened for business May 18, 1917 with Ekalaka as the county seat. What is now the Farmers Union Oil Company building was an old school building and also used as the courthouse. In 1920 the new courthouse building was built and is still in use to this very day. The total population back in 1920 was 2,972. Ekalaka was named in honor of Ijkalaka, daughter of Eagle Man of the Ogalala Sioux. 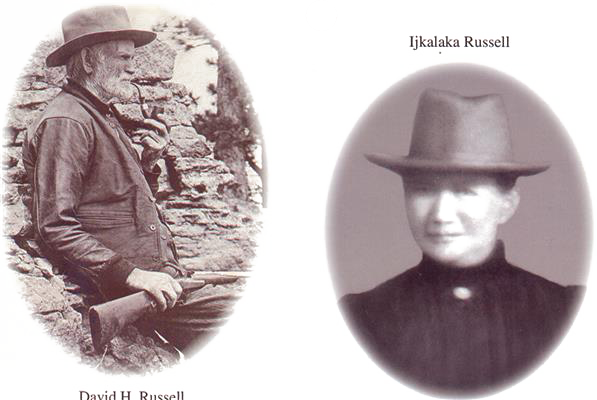 She was the wife of David H. Russell, the first white settler in the picturesque Russell Creek Valley. 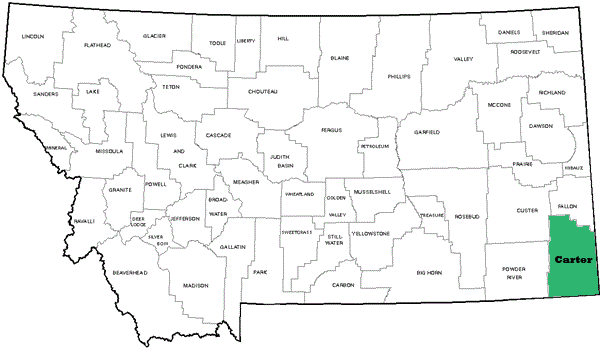 Ekalaka is located in the Southeastern corner of Montana and is 3,313 square miles. Farming and ranching are the principle industries, with beef production number one on the list. Ekalaka is 36 miles south of the US Highway #12 and MT Highway #7 junction at Baker. Ekalaka is also located 72 miles north of Alzada on Route #323. To take Route #323, turn north at the intersection of US Highway #212 and Wyoming Highway #112. MT Route #323 is a direct route to the Black Hills of South Dakota and Devils Tower in Wyoming.